AiR Day 3 – Does time exist? Have you ever noticed how the hours speed by when you are working on something in the studio? A funny thing happened this week…my clock in the studio stopped…it needs a new battery. This top can be worn in different ways – and I don’t think I’ve discovered them all yet. My design of the finished top all revolved around having that grey stripe (which I wasn’t sure about when I was weaving the cloth) as the featured piece down one side. In the afternoon we went for a coffee at Fernwood Cafe down by the water – it was such a beautiful day! And then stopped in at the farm just a short walk from our place – the sheep have been shorn. 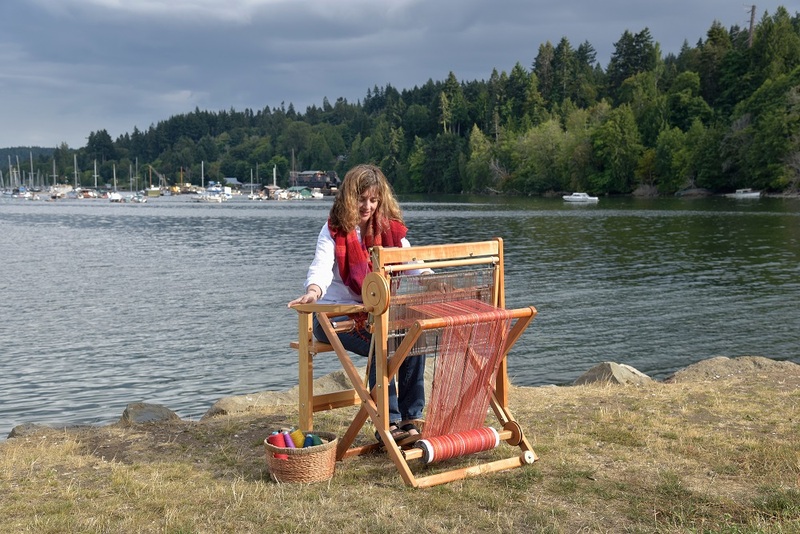 http://saltspringweaving.ca/wp-content/uploads/2016/11/SAORI-Salt-Spring-logo-1-1030x158.jpg 0 0 Terri http://saltspringweaving.ca/wp-content/uploads/2016/11/SAORI-Salt-Spring-logo-1-1030x158.jpg Terri2013-05-04 09:16:282013-05-04 09:16:28AiR Day 3 - Does time exist? So I went into town today to get a battery for an older watch that I have and the only person in town who replaces watch batteries is away until May 20….. The top looks great! So perfect for this time of year when it gets cool in the evening. You’ll need one long ‘arm warmer’ for the really chilly nights! Hope you’re enjoying this amazing weather! The PINK top is just LOVELY i especially love the added bits of other colour, very nice touch. timeless adventure. Happy Weaving ! ! ! Thanks Susan! When I wove this cloth I didn’t have a plan for it and just put in some other colours not knowing where they might be in the finished piece. I wasn’t even sure about them after I put them in, but just carried on. Funny how the design revolved around the one strip of gray! Yes, timelessness in the studio in the woods immersed in SAORI – wonder-full! Loving the weather which definitely slows things down now that it feels like summer. Yes, ‘what time’ indeed! Losing track of time, all in good time, all the time in the world – the endless possibilities of SAORI! The blossom shirt/tabard/vestment is soooooooooooo beautiful! Yes, I thought of you & Jim when I wrote that – all the time in the world! And now that you mention it – I do need a name for my top/shirt/tabard/vestment/shawl….